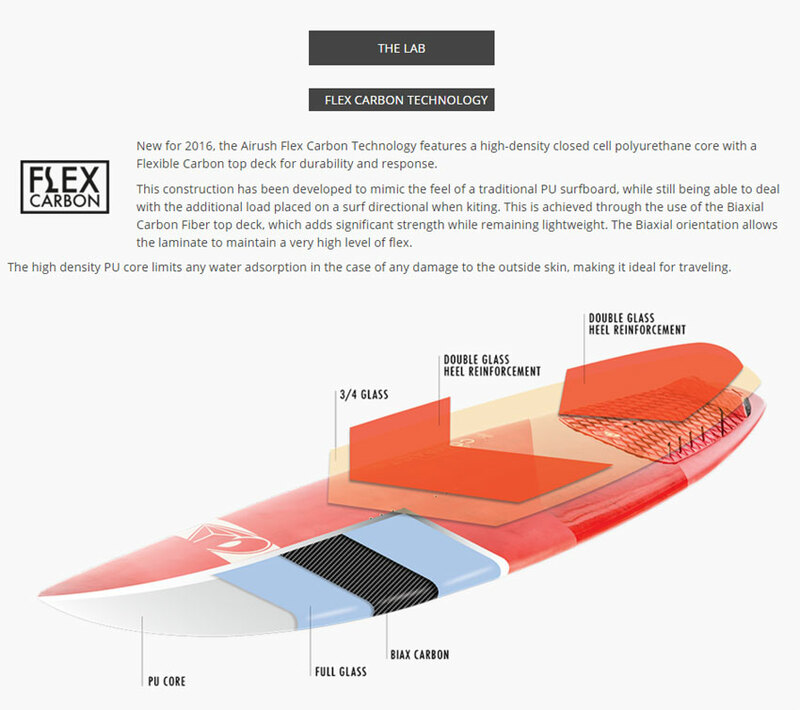 "Our focus with the compact is to develop the ultimate all-round wave board to perform in real world conditions. " • Ride the Compact 2" shorter than the Converse. 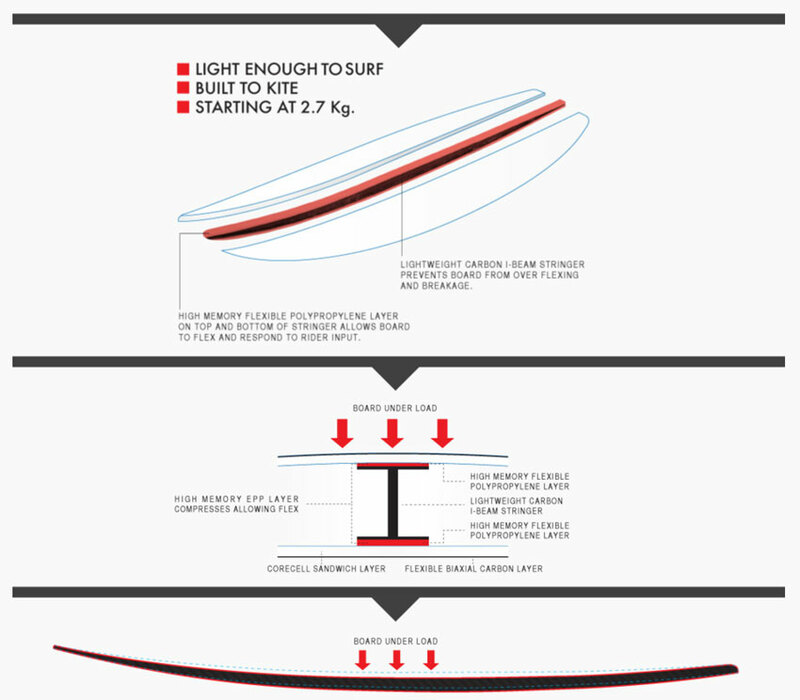 Our focus with the Compact is to develop the ultimate all-round wave board to perform in real world conditions. The outline features a relatively far forward wide point which has improved the drive through the bottom turn, while the more pulled in nose has ensured you do not lose any of that classic Compact throw around factor. The V bottom in the tail area allows for smooth rail to rail transitions, while the wider nose area and flatter entry rocker and tail rocker of the board (compared to the Converse), helps increase planning speed over flat sections, maintaining the low end of a much longer board. 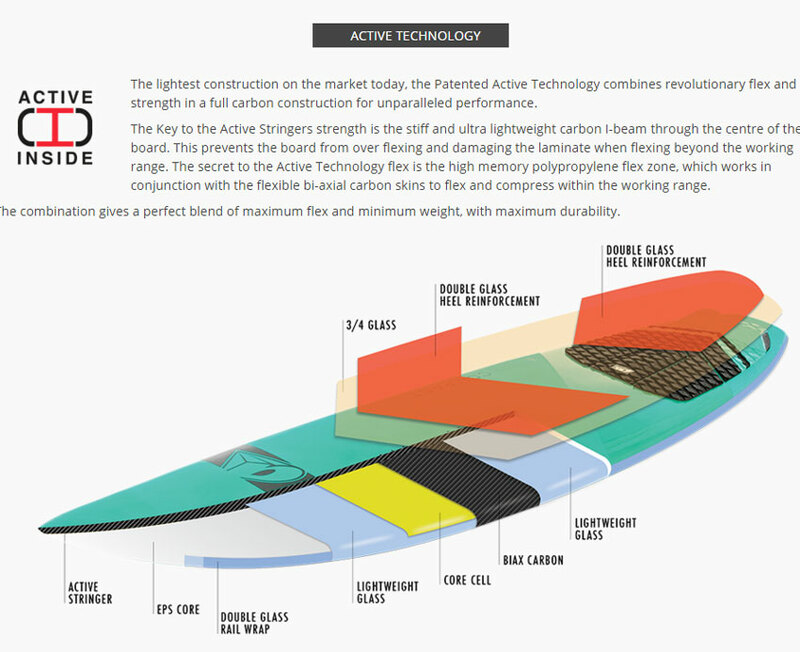 The Patented Active Construction has proven itself as the absolute benchmark in surf constructions, with the lightest weight possible achieved through the Active Stringer and Flexible Carbon Sandwich Construction. 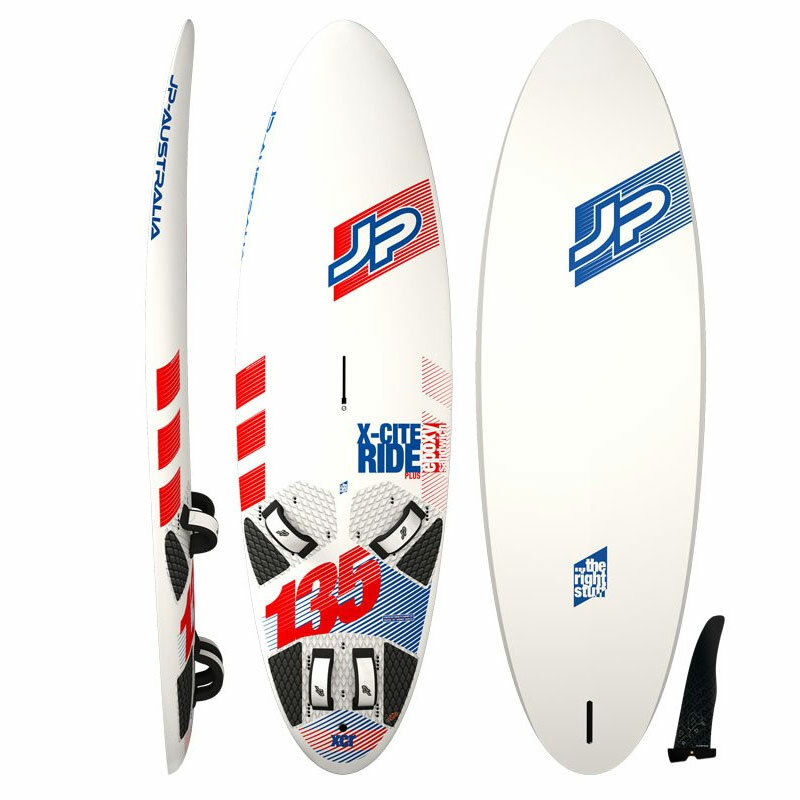 If you need one Wave board to perform in any conditions you throw at it, the compact is the board of choice. 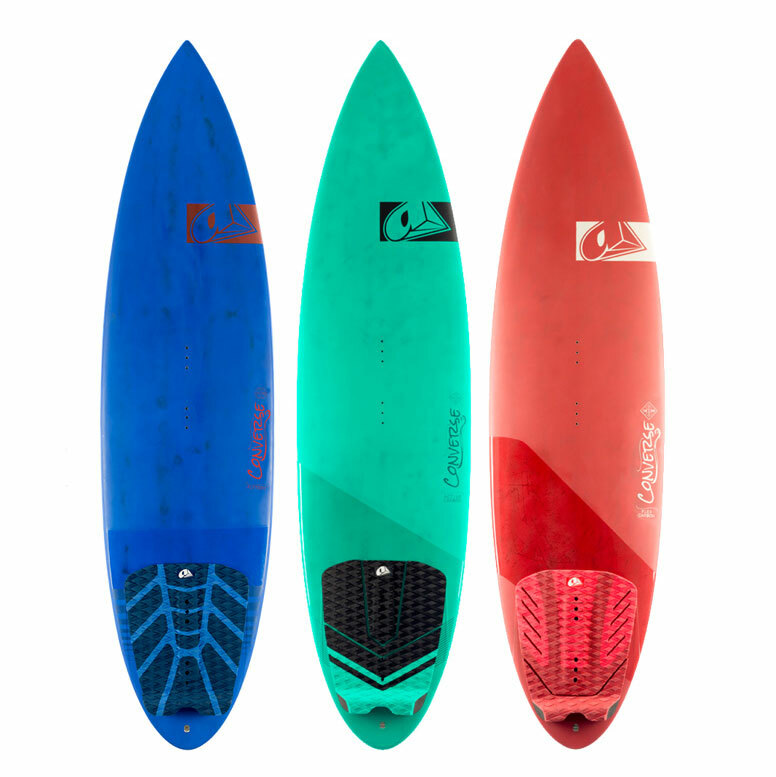 5'7" | 5'9" | 5'11"
The Flytech construction comprises of a lightweight EPS core with a sandwich hi-density standing area, for an excellent combination of strength and lightweight. 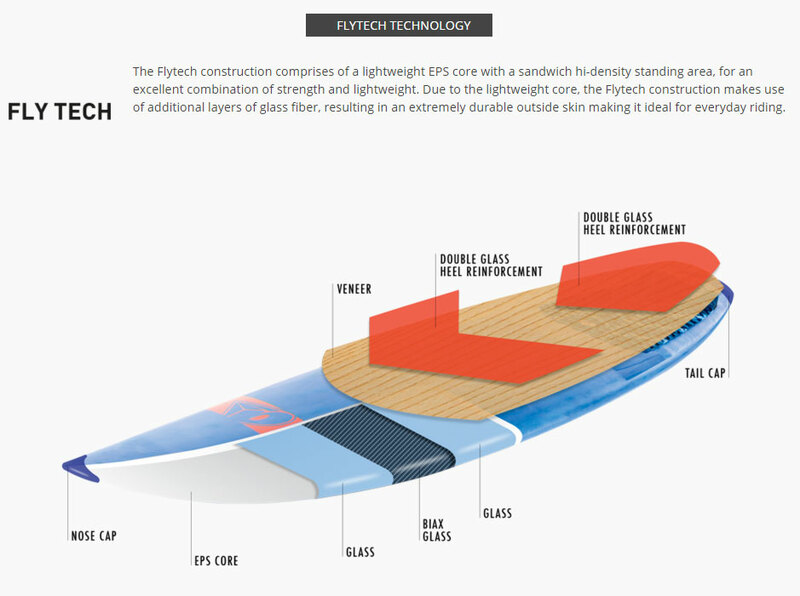 Due to the lightweight core, the Flytech construction makes use of additional layers of glass fiber, resulting in an extremely durable outside skin making it ideal for everyday riding.